Dubai is currently multiplying the initiatives and the venues for art and design. 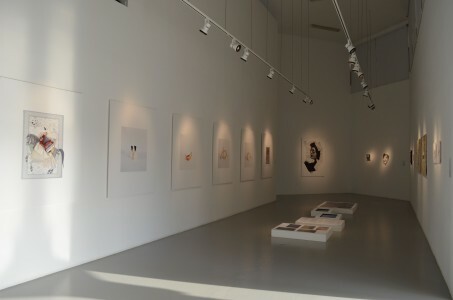 Very intrigued by the city’s positioning on the international art scene, I did some research and came across Tashkeel. 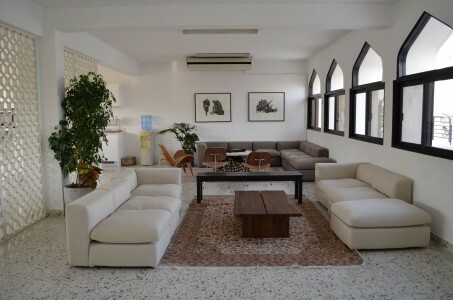 Established in Dubai by Lateefa bint Maktoum in January 2008, Tashkeel is an independent resource for artists and designers with, as mission, to support, encourage, and promote the work of artists of all nationalities living and working in the UAE. I had the opportunity to meet with Anabelle de Gersigny, Tashkeel’s Strategy and Partnership Development Manager who showed me the premises. Tashkeel was originally an art college? It used to be an art college, and then when the art college closed it was kept open as an art centre for artists and designers who have been working in the region and the area. You can choose to be a member for a day or a month or take out year-long membership and have access to all of the facilities. 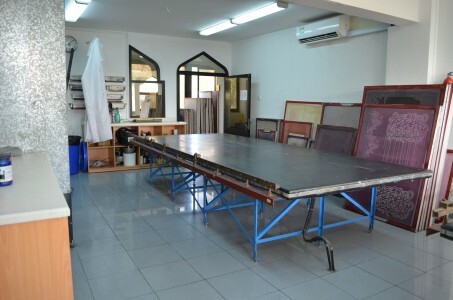 We have print studios, screen printing, and I believe our press is one of the only public presses in Dubai. Outside there’s an area where people can work, there’s a skateboard ramp… We have quite a strong youth programme and have started working with schools to bring art into them. Some of our artists have been commissioned for workshop programmes that tie into school curriculums. We have project-based activities with the schools, and sometimes the schools come here to do the workshops. But it’s not an art school anymore? No, it’s now a studio centre. Do you offer any art training? We do a lot of workshops, some programmed by ourselves and some in collaboration with other entities – for example the Khatt Foundation. We have a youth programme for the younger age group, and we also have professional development programmes for practising artists, design agencies. Recently we had the AAVS – the Architecture Association Visiting School – here for the second year, with up to approximately 40 students. People can come here and develop their practice, so we work on that basis and run critical practice programmes around it. So for example, we have exhibitions that are the result of prolonged conversations with artists, where we draw on curators and other artists to feed into their work, and that culminates in an exhibition, this year we are working with Ammar Al Attar and Afra bin Dhaher on this programme. It’s really all about supporting the artist from the ground up and providing the practical tools and the community for them to continue to develop their work. Do they pay a monthly fee? For a monthly fee, currently set at 600 Dirhams they have full access to everything. Do all the members live here in Dubai? Yes, mostly they’re living and working in the UAE, but we have some artists who come over from other countries. 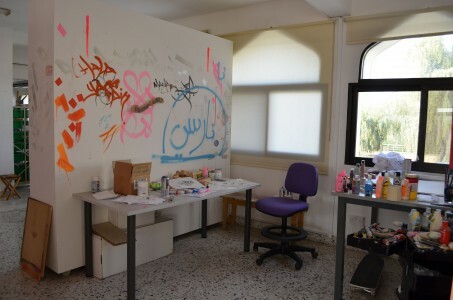 For example, they might have a representative gallery here and they’ll come and use the printmaking studios for a while in preparation for their exhibitions. In our studios we have various design entities. There’s a furniture product designer and a number of graphic designers including the Mobius collective. 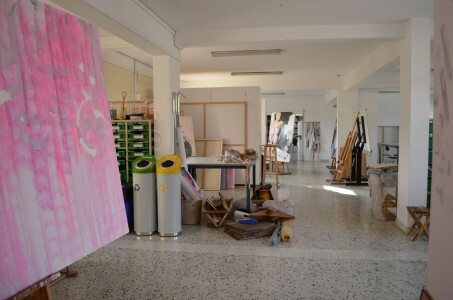 We have fine art studios, which include a communal area. People can take on an extended membership and have a space; but members can also come and work from the communal space anytime they like. El Seed was a guest artist here last year and Ruben Sanchez, who was also a guest artist, has stayed on living the UAE and working from Tashkeel. Over the last 11 months, sound artists Fari Bradley and Chris Weaver have been in residence at Tashkeel, there residency ended in April. You’re covering all types of media, aren’t you? Yes. The sound artists are very new territory for us, but we’re really excited about it. Fari and Chris work a lot with experimental sound. They collect sounds and create pieces off the back of that, or installations where they broadcast from one site to another site; they also make sound sculptures. Whilst they were here broadcast on Resonance FM in London once a week, they also took part in ISEA2014 (International Symposium for Electronic Art), they had a solo exhibition, a Tashkeel commission at Art Dubai as well as programming a series of talks on sound art. Maitha Demithan works from here, she works with scanography. We also have Fatima AlBudoor who often works from the print making studios. Areej Kaoud is a conceptual artist who recently had a solo exhibition in our Al Fahidi spaces; Ruba Al Araji is a painter and illustrator; Judy Shinnick-Nolan is an Irish painter who spends her winters in Dubai, working from Tashkeel. There’s a textiles area where we’ve got silkscreen printing, an exposure room at the back, sewing machines and basic dying kits. Downstairs we’ve got the photo studio with all the equipment – cameras, lights, etc. There are also darkrooms where we have enlargers for black and white analogue photography. We have a 3D workshop with jewellery stations, a laser cutter, 3D printer and a wood cutter. 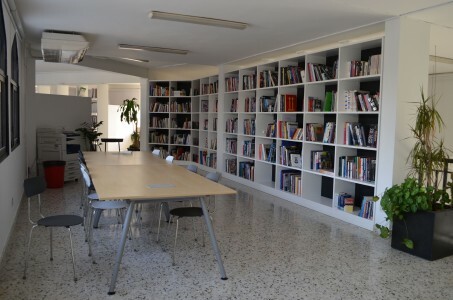 There’s also a digital lab, where we have computers with most programmes the artists would need, an A3 flatbed scanner, and exhibition quality printers so people can produce their work from here as well. Every corner is a different place to make something. That’s fantastic. There seems to be a lot going on in the arts in Dubai. Is this a new movement? There’s been a lot going on in recent years, for example Design Dubai, D3 and Art Dubai. What kind of vision is there in Dubai as regards art, design and fashion? You’d have to ask the people at the top! Here at Tashkeel it’s all about responding to demand and need, and a belief in creative processes. There isn’t a lot of fundamental support for people who are creatives, and for whom art or design is their vocation. It’s not legitimised as a profession here as much as it might be in Europe, perhaps, or America. A lot of our role is about legitimising art as a profession, and showing artists and designers that they can set up on their own, that they can run their lives like that, that they can survive as independent artists and designers, and supporting them in that as much as possible. It can be tricky, though, because if you’re not from here you have the whole visa situation. Those sorts of things can become a real challenge, because you can’t settle here as just an artist without a visa; you need to have a full time job. We try and make provision to support and allow artists to make that transition as much as possible. Is your role also to attract artists from all over the world to come here? Yes, absolutely. Ultimately, given the recent situations in the region politically and in terms of the struggles and conflict its gone through, I think Dubai has become a really attractive place for young artists, creatives and fashion designers. Do you mean because there is a lot of exchange? Yes, there’s a lot of exchange, but also it’s a safe environment. It’s somewhere you can build a business if you’re a young graphic design or fashion entity. There’s an increasing demand for things that are not off-the-shelf, bigger brands; for more niche, specialised things. I think when people live in a city they’re not just looking for a nice house, a nice car, a nice lifestyle; I would like to believe they are seeking for a bit more meaning, they’re settling here for longer and looking to build their lives here. And inevitably, they want to connect and get a sense of their time here and a sense of belonging. In a way, art and design, if it’s nurtured and made here, allows for that. When people talk about Dubai outside Dubai, it’s always seen as a ‘bling’ situation, with big brands and logos. Do you feel the market is changing more towards emerging designers as it is in Europe? Is there a market for that here? Absolutely – I think that’s what’s growing. There’s only a certain amount of times you can go to the mall here and see the same things that you’d see on any other high street in any other country and not get frustrated. I don’t go to them ever. I prefer to go and find materials myself, find a tailor and have interesting things made, rather than go to the mall. I enjoy that process; there’s something creative in it. I also think that’s a way of engaging with the city here as well, and to get to meet new people from different places. There’s a real interaction between, say, me and the tailor sewing clothes on a micro scale, and it has more meaning to it. I know it’s just clothes and it’s just material objects at the end of the day, but it allows you to really engage with the city. Dubai is a city where ‘street life’ is very difficult because you generally travel in your car from place to place, the metro service only serves a certain portion of the city. In other cities I’ve lived in, I could leave my house and walk for half a day and discover a part of the city, accidentally encountering shops or places I didn’t know about, or discovering what might ultimately become my favourite park bench or my favourite cafe. That doesn’t really happen here in that way. You find out about things through conversations, it becomes a destination, and you then travel to that place to experience it. So it’s basically word of mouth? It’s word of mouth, yes. And once that kicks off, people are there all the time. The cafe Tom and Serg is a good example in Al Quoz. It open over a year ago, but within months of it opening, they were packed every single day of the week. They’ve now opened a second space called The Sum of Us. Finding those pockets of culturally savvy people when you first arrive here can be difficult. There are a lot of surface things that get a lot of advertising and a lot of attention that are just not attractive to people who’ve moved from London to here. It will be interesting to see how D3 and Alserkal Avenue’s programming pans out and how the audience engages with it. On a basic level, even fitting out your house can be largely limited to chain stores, or second hand goods from those stores on Dubizzle, till you work out where to go. For example, I really struggled with the furniture here in my budget: finding furniture that’s interesting, that’s not too expensive, that’s not IKEA is difficult. Is that because there are not many retail outlets? There are a lot of shops; there are loads of shops! They’re all things that are often very expensive. You’re then buying a brand, and although you might really like it, it’s also the brand that’s telling you it’s okay. But because things are so new here, you can’t go to a car boot sale and find an old Victorian table that you can do up or adapt. There are no flea markets? There is actually a flea market, but there are not many old things in it! There are a few warehouses that sell teak furniture from India and stuff like that. I’ve heard there’s a place called the Antique Museum in Al Quoz that sells more interesting second hand furniture, I’ve yet to check it out. I ended up making my own furniture with plywood that I got from a carpenter. So those artists who are making furniture or making very edgy jewellery work; where do they sell here? Do they have to export, or can they find an outlet here? There are some places they sell at, and they sell online. But I think Dubai is now really starting to respond to the fact that these people need somewhere to sell from and that the rest of the world is interested in actually what is from here; they’re interested in engaging with aesthetics that come from here and might be completely different from things that they’ve experienced elsewhere. And I think Dubai is becoming more interested in things that are home-grown rather than things that are imported. There’s also a need also to market all these young designers. Is there somebody who helps them to do this? Things like Design Days Dubai (D3) and Art Dubai become really important, because these are where the international world comes over and they can showcase what it is that they’re doing. We have a brand for example – Tanween – that sits under Tashkeel where we support designers in their making process. We plan out a series of laboratories leading up to Design Day, starting in every May-June, where we select three designers from an open call and they will come here and work really closely with craftsmen and manufacturers to develop products. They research materials that are from here, makers and access to them. Because you are at a crossroads and there’s so much material that goes through, and so many skills latent in the population, there’s a huge diversity to draw on to develop products that are 100% from here and intuitively made from here. There’s a real opportunity to collaborate with the craftsmen and artisans to develop products that will be completely unique, that will look and feel different, and that are genuinely from here, responding to the environment. Are there also the production means and possibilities to mass produce here? Yes, and it’s often designs or aesthetics that are imported, mass produced and then shipped out. But what we want to do is to produce it here, start small, and then develop an industry that is 100% from here. Has that already happened? Is there a brand or a designer that has succeeded in mass producing things here? I think, from our side, we’ll be looking at producing more limited edition pieces. What’s been really interesting is trying to incentivise the manufacturers who have the factories, that they want to be involved. So there are craftsmen and there’s the knowledge. So you have to convince them. Yes. But that communication is starting to happen, and we’re a kind of an incubator for that. We’re helping the designers communicate, but then also helping the manufacturers meet the amount of attention to detail that they need to put in on an aesthetic level in comparison to other products they may make. Then the designers also learn from the craftsmen’s use of materials and their knowledge, and so it becomes a real cultural exchange as well as being an exchange of aesthetics and knowledge. You are working with D3 – how does that relationship work? Do you work closely? Yes. For example, D3 ran a jewellery workshop with Azza Fahmy, and they’re hosted it here at Tashkeel because we have the facilities to provide for that and to help them to provide other workshops. D3 are a developer. They’re building a creative area which will provide a site for small industries to set up their businesses; but I think they’ll also accommodate bigger brands, so it will be a sort of reach between the two. It’s great that they’re creating a space where people can go to – and, of course, Alserkal is the same. The key thing is the realisation that these creative people need somewhere to anchor themselves. Everyone’s spread out all over the city, and most people work from home here. Artists and designers quite often have their studios at home, and that makes it very difficult to meet them. Centralising and giving people a hub to go to that has all this space suddenly changes the dynamics. Also, people visiting have a place to go to to find these things, so it provides access and a window to what’s actually going on. We are also now working with DDFC (Dubai Design and Fashion Council) who are supporting our design programme. There’s Tashkeel, there’s Al Quoz, and there are also galleries at the DIFC Gate Village. There are art galleries in DIFC that are very commercially-led, and then galleries in Alserkal and Al Quoz. 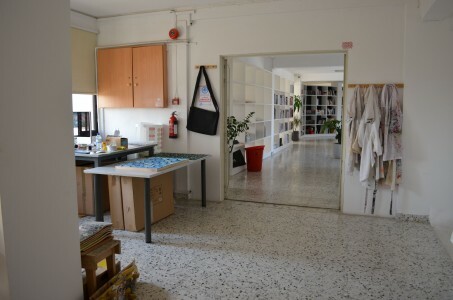 Tashkeel is the only studio site – there are no others studio sites currently –and we’re the only space with printing facilities, darkrooms, etc. We’re the place where people can make things. The other spaces are places where people show and display. And do you have people coming here for your exhibitions? Yes, we do; we have quite a lot. But the main core of activities is supporting the studio and production. You’ve been working at Tashkeel for a year. What did you do before this? I’ve been in the region for four years and previously worked on the museum project in Abu Dhabi, working on the Guggenheim, Louvre and Zayed National Museum. Is there a different positioning between Abu Dhabi and Dubai in that sense? Abu Dhabi, as the capital, obviously has a lot of interesting initiatives, and they’re really looking to provide access and places for people to view art that’s not necessarily from the region, and that provides a more international context, perhaps – which is apt for the capital. They’ve partnered the Guggenheim, the Louvre and the British Museum, and it will be interesting to see how that transpires. Sharjah has the Sharjah Art Foundation and the Sharjah Biennial every year, which is fantastic. I would highly recommend seeing the new spaces in Sharjah: they have a really comprehensive programme of artists, and the biennial is always excellent. Sharjah’s a kind of haven for me to visit. Was it easy for you to settle in the region? Was it easy? Gosh, it’s strange flashing back to four years ago! I came here on my own, and I was brought over from London to work on the Museums Project. 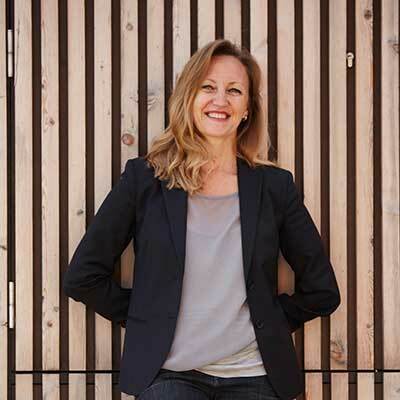 I started my career at Phaidon Press, went on to work for commercial art galleries, set up my own non-profit space in East London called the Tram Depot, and then continued to work for commercial art galleries. I worked for a client from one of the galleries for a while before one of my old employers recommended me for the job here. I’m half Mauritian; my parents are in Mauritius, and I’ve always travelled. I’ve lived in Japan and Italy, and, to be honest, it was quite strange for me to spend so long in London – 10 years. I was ready for a change and quite intrigued by these projects being built in the middle of the desert. How is it to work in the region? It’s funny; it’s changed a lot since I started. Dubai is a completely different kettle of fish to Abu Dhabi. When I arrived in Abu Dhabi four years ago, I have to be completely honest, it was tough. My colleagues were great, but coming from an established art scene into a world where there weren’t many creatively-minded people was really difficult. The people that I worked with were likeminded, but outside of that it was hard. There was a big ‘expat’ social group whose ambitions, aspirations and interests were very different to mine. It was a real struggle and I’d spend a lot of time on my own because I couldn’t find that kind of point of connection. And there wasn’t enough art: the museums weren’t built yet, so I would always be working on things that weren’t actually happening. And the museums still aren’t built – they have a temporary space. I’d find myself spending a lot of time coming over to Dubai to the galleries, to the openings, just to have that kind of change of points of reference, points to research, things like that. The reason why I left was because I didn’t feel connected enough to what was actually happening in the art scene here in Dubai, and the people who were actually living and making things here, to build a future. After a couple of years in the region, I knew I wanted to stick around for longer, but I needed access to people from here who are making work, as opposed to working with some incredible, big, blue-chip artists with whom I didn’t really have that direct connection. I was used to working with artists very closely in London – developing projects with them, working on installations with them and things like that – and the position in Abu Dhabi wasn’t providing that for me. This is much more hands-on and much closer to the grassroots and ground level changes you can make that inevitably, hopefully, will grow into effecting a wider community. On the business side, is it difficult for a woman to work here? And do you have any tips for other women coming to work here or who have to negotiate or deal with people in this part of the world? Are there any dos and don’ts? I think the tips I would give are the same tips that I would give to any woman. I think whenever you’re entering into a new culture it’s really important to listen; and I don’t mean just listen to what people are saying, but listen to what the culture is showing you. Be respectful of the culture and allow it to unfold itself to you; don’t push your preconceptions or your ways of doing things onto other people – I’ve learnt that the hard way sometimes. Allow the culture that you’re going into to inform, to teach you how you can bring in the things that you’ve learnt from your experience and create a positive match of both, even down to the small administrative things. It seems to be quite open, and I think it’s important for artists to be in a place where they can express themselves. Can they express themselves freely, or are there also banned subjects? I’m talking with reference to other Arab countries in which it may be much more complicated to tackle some subjects. Yes, I think it probably is more complicated to tackle some subjects. Rules have limitations and there are always restrictions in anything you do; and I suppose the role of the artist is to take the tools they have to hand – whether it’s the limitations of the size of the space or the limitations of the size of their studio or their financial restrictions or any other limitations – and use their creativity to work with it and work around it, and continue to make what they want to make and not lose their integrity. There’s always a way to do what you want to do. You might have to rethink how you’re going to do it or ultimately what it looks like, but there’s always a way to do what you want to do. There are rules: you only have to go into a magazine shop and see that certain parts of the magazine have been censored with a black marker. It’s sometimes beautifully done! I’ve actually collected some of them where the marker has been put on the picture in a really beautiful way. You’ve lived in different countries. What makes Dubai appealing to you? And is there anything that you find frustrating or that you’d like to change? Appealing to me is the people that I’ve met, the art from the region, from the Middle East, the incredible hospitality of people that I’ve met. Not being able to walk or cycle around the city as much – that’s frustrating. But isn’t that complicated with the heat? Yes, but in the winter it’s beautiful. And I’d love to be able to just walk out of the house and find independent shops and stores. Also gigs and more access to live music, to art in a non-commercial environment. Sharjah Art Foundation is good for that, and I suppose when the museums in Abu Dhabi are completed that will be great too. And for a woman alone, is Dubai safe? Dubai is one of the safest places I’ve ever lived. Japan was ridiculously safe and Dubai is similar. As a lady alone, I still wouldn’t walk in certain parts of the city on my own. Would you be willing to share details of some of the shops or restaurants you find interesting? I’ve got a blog that I run with friends: Fat Nancy’s New Diet. One contributor is a coffee roaster, so there’s a lot about coffee on there; but there’s also a map that we keep adding to, of places that we love going, from things like a fish restaurant that’s a beach shack that you literally pay next to nothing for delicious fish and prawns and curry sauce, to Ravi, which is a Pakistani restaurant in Satwa. There’s the tailor that I use, the carpenter that I bought wood from to make furniture… It’s all those kinds of things that when we were moved here we didn’t know where to begin and it would have been useful to have had a website like that to go to. And it’s funny here, because you’ll find things that you wouldn’t necessarily imagine. For example, Pizza Express in England I might go to and just eat very quickly, but it’s not somewhere I’d go to regularly because it’s a chain restaurant. But Pizza Express in JLT, near the marina, has live jazz every night, it’s reasonably priced, and it’s ended up becoming one of the places to regularly go and eat because I can go and get a salad, there’s live music, people always end up dancing, and it’s really relaxed. It’s odd because it’s a chain restaurant, but here it will take one manager of one place to give somewhere a character, whether it’s part of a big chain or not. I guess Dubai is accumulating people like that.